This is another in Dave Phinney’s series of wines intended to call attention to their origin, using contracts with carefully selected growers in canonical wine regions of the world to make wines that bear the distinctive mark of that region. These are not vineyard designate or appellation-specific wines. For the most part this project treats larger areas, nations or states (in the U.S.), as the relevant geographical distinction. This Sauvignon Blanc is a blend of grapes from Wairau, Awatere and Waihopai Valleys in New Zealand, allowing Phinney to work as a painter might with a color palate selecting how much of each flavor profile to include in the blend. The result should be a Sauvignon Blanc that screams New Zealand. Intense aromas of gooseberry, passion fruit, and tangerine with hints of fresh asparagus, this is more fruity and tropical than grassy, a distinctively New Zealand-style nose. The palate opens with a luscious mouthfeel, a creamy display of peach and tangerine, but assertive acidity and a stealthy influx of minerality give it a flinty finish although the tropical fruit essence never wholly leaves the stage. An endearing, generous wine that develops an edge as the finish builds, an inclement warning drifting on a fresh breeze. The music must be tropical, hot and percussive, reaching back for Gloria Estefan’s Conga to match this wine’s freshness and intensity. A pleasing nose with good intensity highlighting grapefruit and lemon aromas set off by muted asparagus notes. 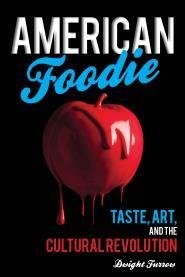 On the palate, its very juicy upfront with some sweetness sitting soft and round in the mouth with medium weight. The intensity of the fruit diminishes midpalate but persists in a lower register through the clean crisp finish that shows bright lemon as it fades. Pert and fleshy, this is an enjoyable quaffer, simple but generous, a solid everyday white wine perfect with light, summer dishes. And it’s widely available. Power over opposites delights fans of New Zealand Sauvignon Blanc as well. In the 1980’s, New Zealanders figured out how to get this grape to express both the grassy, herbaceous quality of Loire Valley Sauvignon Blanc combined with California fruitiness—a true unity of opposites. Sauvignon Blanc is a grape too often ignored perhaps because American versions suffer from a kind of identity crisis. California versions can be all over the map, from full- bodied, oaked fume blanc to light, insipid one dimensional quaffers. But in New Zealand they know exactly what to aim for–pungent asparagus over grapefruit, and even the relatively inexpensive brands consistently hit the mark. Citrus and fresh, raw asparagus set off by light floral notes give this Spy Valley a classic nose. The palate is grapefruit and lime wrapped in the vibrant acidity we expect from this grape. There is a faint hint of sweetness and none of the green, grassy flavors characteristic of styles that draw inspiration from the French—this strives for new world accessibility. Light on the palate, for those of us still baking in end-of-the-summer heat it is great refreshment. 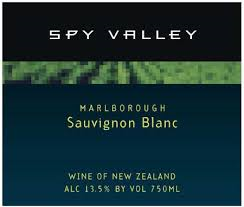 Spy Valley lacks the powerful aromatics and the kinetic vigor of the best Kiwi Sauv blancs but at this price it satisfies. Sauvignon Blanc. You either love it or hate it. Like fans of lolcats and the smell of kitty litter in the morning, Sauvignon Blanc lovers have always been, well, different because Sauvignon Blanc’s characteristic aroma note was cat pee, and only special people would want a wine to smell like that. New Zealand’s wine industry largely depends on the fortunes of Sauvignon Blanc, and apparently they have determined there were not enough of these “special” people to buy their wine. Because this cat pee aroma seems largely to have disappeared at least among entry level wines. I kind of miss it, not that I like lolcats or anything. The word is that Sauvignon Blanc contains chemicals called thiols that smell like cat urine in larger concentrations. And the New Zealanders have figured out how to reduce its concentration. So most Sauvignon Blanc now exhibits flavors of gooseberry and passion fruit, which is characteristic of reduced thiol levels. And since few Americans have ever tasted passion fruit or gooseberry, Sauvignon Blanc has acquired the image of being exotic instead of gross. My search for cat pee at the supermarket turned up empty but I did find a couple of good representations of inexpensive New Zealand Sauvignon Blanc from Marlborough grapes. True to type, the Martin’s Rake has plenty of pungent passion fruit and gooseberry on the nose. (For the record, gooseberry tastes roughly like sour grapes, passion fruit like under-ripe pineapple.) The palate is richly textured, more round and full compared to most examples of this varietal. It has a nice, dry, minerality that doesn’t turn sour on the finish. Which makes this a winner in my book. The Fire Road is aromatic, with some ethereal citrus notes to complement the gooseberry, but has less body and is more angular on both the nose and palate. It has a second shift at the end of the mid-palate in which the acidity really comes to dominate and carries through the finish. It is not quite sucking-on-a-lemon territory but it is more tart than I prefer. If I get hit with acidity, I want there to be a payoff in flavor. I didn’t find it here. Paired with a delicious sandwich of goat cheese, fennel julienne, cucumber, apple, and mint both wines were winners. But the clear edge goes to the Martin’s Rake.